I was eating dinner when a story on Al Arabia channel caught my attention. 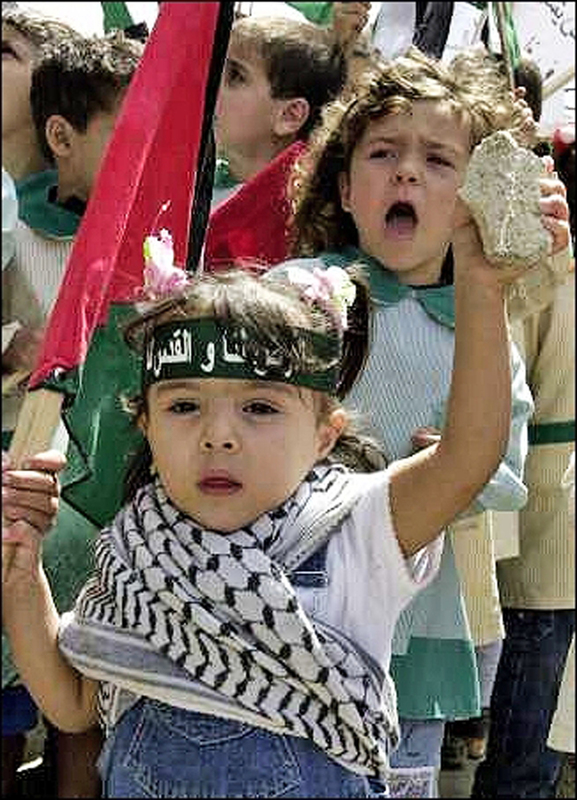 An Israeli soldier decided to arrest a five year old for throwing rocks. The little boy was sobbing and frightened as he tried to pull away from the soldier who forced him away from his playmates and into a military vehicle. It didn’t matter that the camera was rolling. The arrest had to be made. I instantly remembered a youtube video I watched not long ago. An Israeli woman wrote a letter to Obama, pleading for him to take away the pains in her stomach that were caused by the injustices done towards the Palestinians. She was a mother, and so her heart went out to all of life, given she was a bearer of life. I wondered if she’d heard about the arrest of this five year old, and if so, how much pain that caused her stomach. I wondered if this little boy would be from this point on too frightened to stand up for anything (otherwise, oppressed) or if he would turn out to want revenge (otherwise, a terrorist). And we wonder how tyrants and terrorists are made. I mean, imagine how different things would turn out if that soldier went and bought the little boy an ice cream and explained to him that he was not there to harm him or his family, but to protect his own people, that throwing rocks was not going to change anything to the better. Or are my ideas too uncivilized for that type of solution? Or is it that difficult to maneuver a 5 year old to behave differently? Excellent commentary, Weam! You are so very right.